When I first started to really get into reading, one of the first books I read--and, possibly, my first contemporary--was This Lullaby. Then I made my way through all of Sarah's books. (Though there's still one I have yet to finish, whoops.) Thirteen books and nine or so (nine?!) years later, and we're at Once and for All, with a wedding-themed-ish premise that's right up my alley. But in nine years I've grown older and read a lot more contemporaries, and I've gotten more and more particular and picky and hard to please when it comes to books--and loving them. So where does the latest from the arguable Queen of Contemporaries stand? 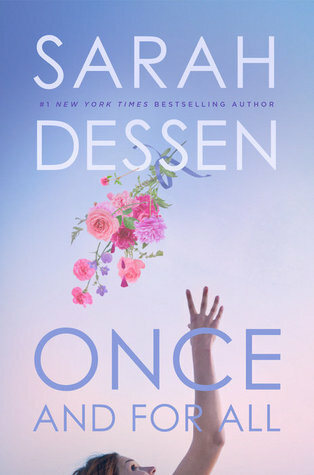 I'll start out by being completely honest: Once and for All was...not my favorite, either as a book or as a Dessen book. My biggest issue is that I can't tell if the problem is me ("it's not you, it's me") or if the problem (which isn't actually a problem) is the book itself. I mean, I liked it. I really did! But I never really clicked with the book and something just didn't quite work for me. And that makes me worry. Is Once and for All just not the book for me? Or am I outgrowing and moving on from one of my favorite authors? (And as someone who has very much wanted to reread all of Dessen's novels, especially my favorites, I'm worried and slightly terrified about how those rereads may go.) But that may be more of a discussion and less of a review. Once and for All is about Louna, daughter of a stellar wedding planner. Despite being wholly immersed in the business and world of weddings, Louna is adamant about her feelings toward true love--or, more accurately, it's lack of existence. Her reasons are valid, but when Ambrose--who's the messy, delicious pie filling to Louna's fine, perfect crust--comes along and wears love and optimism likes it's cologne, Louna sees that maybe, just maybe, she wasn't quite right. What I really liked about Once and for All was how fresh it was. I can't say there are many YA novels set around weddings in such a manner, and there really should be because it's so fun. (Though really, I needed more. Bring it all.) The book was, for the most part, light and fluffy, but this is by Dessen--so it's not quite romance centered (though I would kill for one of those) (and I would say this is a bit more romance centered than her others, perhaps) and there's still some angst and emotion and hints of darkness. I think that what I needed from Once and for All was for it to go up a level or two. I just need a little something more. Aspects of the story could've been pushed farther and harder. The prose wasn't my favorite. I mean, it was definitely better than not. And it could be that I went into this with certain expectations because it is a Sarah Dessen novel, and it's hard for those expectations to be met, let alone beat. And when I already love certain Dessen novels more than others and have my favorites--it's hard, I think, to make room for others. It's never, ever fun to not love a book you wholeheartedly thought you would. It's even less fun when that books from a favorite author and there are all kinds of expectations and factors to take into consideration. All that said, let me reiterate: despite the shoddy job this review has done, I really did like Once and for All! Using weddings as part of the plot was so refreshing, Louna (how the hell do you pronounce that by the way?) was likable, Ambrose was fantastic, and it was a nice contemporary. Yet as I'm typing all this, I'm realizing one more thing: Once and for All, while good, didn't feel like a Sarah Dessen novel. It could've been any contemporary, really. And for a number of reasons, though the whole thing was light and fun and good, I failed to catch the bouquet. Would I reread it? Definitely yes; I also want to test whether my feelings toward this are a factor of my being a mood reader. Would I purchase it? At some point. Who would I recommend it to? 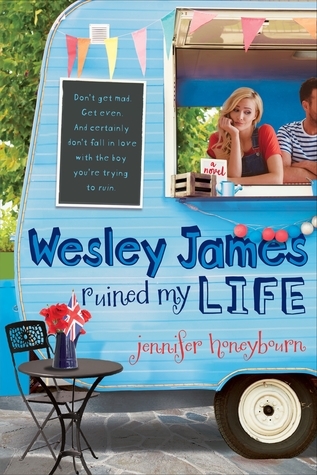 Fans of Sarah Dessen, weddings, quirky love interests, bits of angst, and sweet and fun contemporaries.